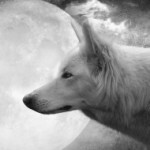 Your Moon: As a Frost Werewolf you draw power from the Frost Moon in November (Northern Hemisphere) or May (Southern Hemisphere) and will experience your first clan transformation beneath the full Frost Moon. Human Form: As a member of Frost Clan you are generally regarded as calm, philosophical, creative, peaceful and mystical. In human form, you may be a social chameleon, able to blend in with friends from many different groups. Among other things, Frost Wolves are known for their love of root beer floats and snow cones. Your claws are the shape of frost arrows that enable you to deploy several different kinds of frost. You may not the fastest werewolf around but your pale eyes have night vision that enables you to prepare yourself for challengers. 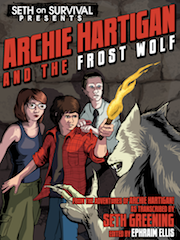 Hybrid Form: As an experienced Frost Werewolf you can master certain techniques to enable you to achieve a human-werewolf hybrid form. Unlike many other werewolves in hybrid form, yours will be highly stable. In fact, at times you may find your hybrid form a bit too stable. Most Frost Werewolves are better at achieving hybrid form than breaking it. This can lead to some complicated and often dangerous situations. 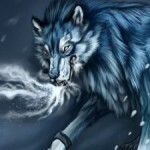 Habits & Customs: Frost Werewolves are very peaceful and creative. They seem to be more interested in how to use their powers creatively than in combat. That said, they will defend themselves and what they believe in without fear. As a Frost Werewolf, at some point you will earn a crystalline frost arrow talisman or a frost flower that enables you to control your transformations. But even with this object, your transformations require you to learn Frost meditation techniques or the transformation will not be complete. One you learn these meditation techniques though, your transformations will be very painless. Social Structure: The Frost Clan is normally a calm and contemplative bunch. Their training program is deceptively relaxing, if pretty cold. Among other things, it involves long periods of meditation and slow motion movements that can slow the world down. Members of Frost Clan train and sometimes prefer to live in remote locations below freezing. Allies: Frost Clan has a very controversial ally – the vampires. Vampires appreciate your creative and sometimes beautiful application of cold powers. Frost Werewolves often have penguins for pets – while others wish they didn’t! But what do you do if a penguin follows you home one day? Powers: As a Frost Werewolf, you can use your powers in different ways depending in part on your choices including your choice of Alliance and Mythos. As a Frost Werewolf you can join one of two alliances, either Terran Alliance or Hydran Alliance and your skills and abilities will be vary depending on which one you join. As a Frost Werewolf when challenged, you draw maximum power from the West, in the hours just before midnight, in isolated locations where the climate is low lying, cold and humid. These represent your safest times. Well, I’m definitley Frost clan, anywhere I go if they have root beer floats I ask for one, any where. Me too, though it is more of an ancestry case. Through my mother, I have Germanic blood through my veins, yeah! Also, I love Norse mythology! I was gifted to be the frost clan I am really slow creative and what makes a frost clan member. I know right but I don’t have a pet penguin lol!! I totally agree. 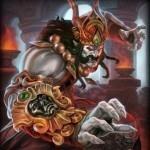 And also werewolves of Frost Clan please type in “Frost Clan” on member groups. It’s a hangout place for Frost Clan werewolves. Froststar… Do you think this is a roleplaying site? This isn’t related to the warriorcats book series. And I have dark brown one, but you don’t need to stick to your real looks. 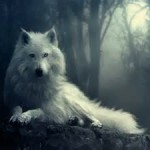 See my case: I always had a kind of therian connection to the wolf, and though I have dark hair, I always imagined my inner wolf as being an arctic wolf with white fur and icy blue eyes, something influenced by my complete love for Norse mythology. And you know what? Through my mother I have German blood running in my veins, so in the end it all end in ancestry. This say all the info. about me. I’m glad I’m in the frost clan cause I love the cold. I was was born in December. 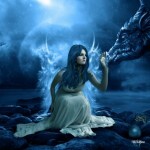 And I wish to transform into a beautiful werewolf. By the way since I am still new to this, can someone go deeper into the frost wolf changing process? 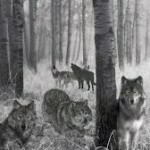 I believe I am a Frost clan werewolf and I am reaching about the age that I would transform, I don’t know what to do or where to go but if there is anyone in or near Texas that can help I would appreciate it. Can’t wait for the november moon to roll around and see if I transform. I just don’t like rootbeer floats though, it is the rootbeer part. I just find that drink to taste really bad. I may be one though I get Oak clan always or Ghost Clan (i think I’m a hybrid) but I do love the snow and root bear floats… but ahh nvm I actually do not fit lol… Although I do envy you guys, Frost wolves. oh yes, look for me on Oak page and seth on survival : DarkOne, Okhem, or WW?. I am seeking out a pack. Please help! 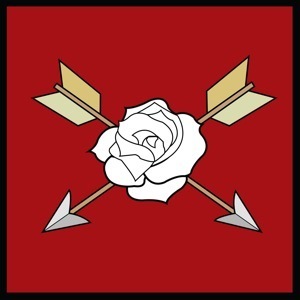 Guys, can someone help me determine my Clan? I am not sure and get so many mixed profiles on the ‘lycanthropy profiler’. I am short and light on my feet. i love snow and winter and like to be outside, not necessarily just by trees. I am ok with Some warmth but hate summer. I have a tendency to go unnoticed (not invisible) in a room and not be noticed unless I “suggest myself”. I have green silver-flecked eyes and sunburn easy. I am ok with swimming but not my favorite thing. I hate hot tubs and when I’m in them i sit on the edge, enjoying the cool air around me, and will go play on our lawn. I love stars but not really my fav thing, snow is. I appreciate nature and although I am not slow I can be. I am kind, can be mean in rage, impatient, talkative (but can be soooo quiet), happy, excited, dominant, hyper sometimes, distant, and yet I am stubborn and appear argumentative though I am only standing up for me, friends, ot belief. i am also loyal with a intense gaze. When walking I walk leasurely my stepdad (don’t kno bio dad), always says hurry up! so maybe i am slow… i love stalking and cool night air in fact I love coldness. When I have baths they’ll often go cold but i stay in anyways. Winter seems to give me power. I love ice cream, snow cones, ice, and on raaaarrre occasions rpot beer floats. I love cold drinks, hot ones make my throat burn. Usually I wear sweaters but lately not, i might be able to add more later oh yes, on my birthday in october , well after my FIRST BIRTHDAY it did not snow UNTIL JANUARY. Is that a sign of Frost Clan or not? And anyone know what Okhem means or did I just make it up? Cuz the word appeared to me one day and now it’s a second name for me. Ah yes email me at FimriteEmma@pwsd76.ab.ca and also I like being wark but am sensitive to heat and need cld, and lately I have a common urge to go out in the sno without a coat. I’m a drowsy, not lazy but close kind of person but am energetic all the same. And another thing in the morning when i wake up i am “distant” and very slow, sluggish. often I’ll just lay in bed till I want/need/forced to get up. Please help! I think you mean genetic. And I should be able to help. That’s usually harder to find, but there probably it is highly likely that there are others in your area. You are part of the frost clan. Like me!!! Hello, it has been long since I saw one who used the old symbol. Thanks, I love the Triskelion !!! I have a birthmark of my arm like that!!!! Good to see you back Accalia. You can message me if you want to talk. Do you want to change your picture? It’s easy. Create an account and then find me. I will explain what I have said. Weird. My birthday is in November, a couple of days after the full moon on Halloween. And I heard werewolves that have their clan on the full moon on their birth month is rare. It describes me, even though I hate root beer. Again, weird. Hi! Um I do know a bit about werewolves but not a lot. i would like to know more. could someone email me or I them? but that’s not why i’m on here. i’m starting to think i’m a werewolf. i need help! both determining what i am, and what clan i have. someone can contact me. first reply tho. I can help; although I am an Ice wolf, I do know Frost wolves as well. I believe a primer on the history of Ice wolves will make it much easier for you reading this to understand me as an Ice wolf. Ice wolves were the first to discover the truth of this universe: that it was frozen into existence and left behind these invisible, ice-like dimensional cracks everywhere in space and time. 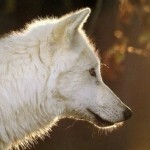 It is these patterns and structures that we Ice wolves study and learn to manipulate. Back when many scientists still believed that ice could only be found on Earth, we knew that ice was everywhere in the universe; how the very crystalline structure of ice is the structure of the universe itself. A little-known but well-kept secret is that the Ice wolves were the founding clan of the Akashan (Spirit) alliance and we still count among its strongest members. All Ice wolves naturally have the rare cold power of January’s Ice moon flowing through our veins; it enables us to “hear” the vibrations of all different kinds of ice, to see the crystalline structures of the universe and in time, learn how to use and manipulate them. Ice not only shares these same structures, but is a physical product of them. I can create all different forms of ice and other solid structures through manipulating the crystalline structures that lie within them. Through the manipulation of these structures, I can also freeze almost anything. Some advanced Ice wolves can even slow down time. The specific word for our ability is cryokinesis. Cryokinesis is the elemental ability to slow down the vibration of particles that lie within any matter to alter its temperature, most often to the point of freezing it completely. Ice wolves’ claws are as hard as diamond and have the appearance of diamond. With these unique claws, I have the abilities to summon water, freeze it into ice immediately and the claws can also fracture ice. Most importantly, my claws are flexible enough to give me excellent traction on icy surfaces or even function as skates. As Ice wolves, we create our dens out of crystalline structures that naturally resonate with the dimensional cracks of existence. As a result, my den is translucent to prying eyes and is almost invisible to outsiders. Until I completely understand and can thoroughly manipulate the crystalline patterns of the icy universe, the size of the den will vary and fluctuate on any given time I visit it. Especially on the nights of any full moon, this is exactly why Ice wolves like me have a tendency to accidentally slip through the cracks of the crystal ice structure of the universe and travel through space and time because our dens are made of the same structures that reverberate with the dimensional cracks of existence. ^^ This is what I shall be like when I undergo my first shift. PM me and we can talk. Sorry I haven’t messaged back- I have to wait 12 hours. I forgot my password/mispelled it when created, and I had to reset it, but it was also too late, and I had to wait 24 hours. 12 have gone by. I will hurry asap- i think I’ll need it. By the by, don’t listen to the folks at SOS: most of them are role players. Just a head’s up. Oh my God, I seriously thought I was alone. I’ve felt so alone and now after finding this site now I feel so much better, I think I’m part of the frost clan bc it makes so much sense, it also explains how i’ve had weird experiences with other worlds. I really want answers, I’m so confused and the past 5 years have been SUPER crazy, I need people to help and support me with this, no one else will believe me. If you want some answers I can help answer most questions. Message me if you want to talk. Really? What about, Hatter? I never knew that… And hey, weren’t you also the same person who had the picture of a wolf with the old Frost Clan or old Ice Clan symbol in it? The three swirls. Somebody mentioned it the ancient Frost/Ice Clan symbol. 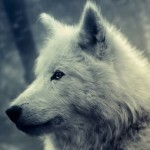 I honestly think i’m a frost wolf… and the full moon is close. it’s a supermoon too i’m getting more worried by the second. i’m not worried about space- when you’re in your wolf form, you’ll naturally flee/avoid humans right? i’ve had growing feelings and restlessness lately…. 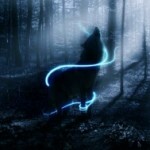 if your a real werewolf a serious werewolf please msg me or reply here…. please! i’m worried and the supermoon frost moon is rising in 9 days. The Frost moon is in 2 days and I am worried. I have a toothache and I cramped up a little. Is this anything? I was close to shifting a couple nights ago. The Frost Moon is tomorrow, and I’m assuming I’ll shift. What do I do and how do I prepare? Are any of you in upstate New York? Please reply, I wanna know. I’m kinda excited/nervous about November coming up now. I think I was bitten in Oct or Nov of last year, and I think it was too close of a time for me to transform, but during the week of that moon I became completely unmotivated and sluggish. I could barely eat, and if not for people around me I would have never left my bed. But I think/hope I’m ready now. I’ve been a vegetarian for 3 years, and all the sudden I’ve had such a bad “meat craving attacks”, and now if I’m not careful I could eat the entire stock in my pantry. I have really bad urges to be alone in woods, to bite (like my teeth ITCH all day sometimes), and I suddenly have a dose of anger/hostility that I’m not use to. Also wake up some mornings feeling like my rib cage decided to rearrange itself (pretty painful). Has this stuff happened to anyone/does this happen when you’re changing? I don’t do well as a loner, especially since this started last year loneliness is a killer for me. I hope I can find a pack around me soon if I am gonna change. I’m a Frost werewolf as well. I only dream shifted a while back. completely white fur as it says here. a part of you with mountain ash / rowan ? I don’t Know? I have no knowledge in this area. I Still don’t know if you have advice that would be great but i do not understand ever thin else. How do you join this clan? Hi i am new and i am not a werewolve but i am a werefox. I know i am a frost clan because i born in may on the 11. But some people tell me that i might have a different color of fur as a fox. But I don’t really do anything really but i do love drinking root beer. When i see root beer i buy it right away. I don’t really like to tell anything else about my fox yet. I do not like to get into fights or bad comments with anybody. But if i have i will. Some people hate werewolves and other shifters out there. But becarful out there. There people out there who will kill you or experiment on you. I am in North Carolina and looking for someone to talk to. But i don’t really like going outside during the day. My eyes hurt in the sun and i get headaches easily. 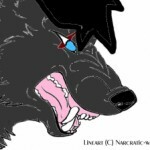 Hi i am new and i am not a werewolve but i am a werefox.